Calling all outdoorsmen (and women)! 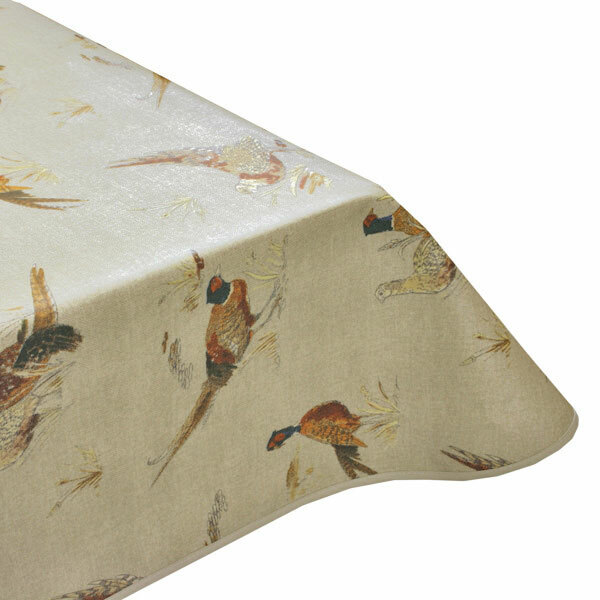 Whether you're a hunter or simple an animal lover, this pheasant print oilcloth tablecloth hits the mark when it comes to a classic yet fun print. 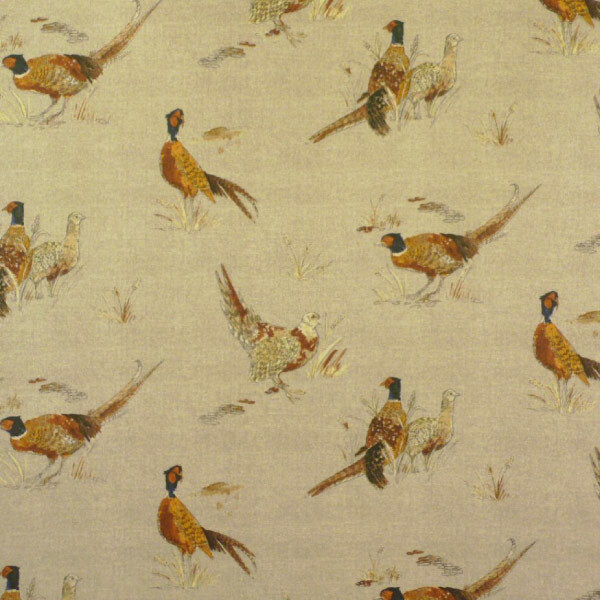 Picture this in a hunting lodge, or across the table in a log cabin. When messy meals threaten, fear not because the PVC surface means that this tablecloth has an east, wipe clean finish.